LG is a Korean company with high diversification. LG Electronics, a division of LG, is one of the largest television makers in the world. LG sets have been around for years, but they’ve really jumped into the public’s conscious during the last few years. They’ve enjoyed enough success for their displays to be compared to offerings from rival companies with strong places in the industry. If you’re considering purchasing an LG television, read this review for a full look at the company’s overall quality. Searching for a specific LG TV review? A lot of LG Electronics’ success in the last few years stems from two things. One of the reasons for this success is its strong branding. They’ve ran TV spots and print ads in the last few years underscoring the benefits of their products, and have paired it with the slogan “Life’s good.” This has helped them to be labeled by consumers as a high-quality brand. The LG logo is one that now resonates with customers as a premium brand, even though that wasn’t necessarily the case as little as five years ago. With the strong branding that LG has developed for itself, there’s a natural curiosity about whether the products they manufacture can deliver on the hype. In a word, the answer is a resounding “Yes.” We previously mentioned that there were two reasons for LG’s recent success, with one being their branding. The other has been their development of smart TVs. They unveiled a predecessor to the modern smart TV as far back as 2007, and have been a pioneer in integrating streaming media and app access into their televisions. This has helped them become a market leader for their features. Aside from this, the company also delivers stunning picture and build quality with their television sets. Although individual preferences will differ as to whose television delivers the best picture, there’s no denying that LG sets produce a fantastic image. Need further proof that LG manufactures quality sets? At this year’s CES, LG took home honors for Best HDTV and Best of Show for their new OLED display. Clearly, LG is doing something right. MSRPs for LG televisions are right in line with their competitors, although individual stores price differently. For example, a 47” 3D television from LG retails for over $1,000 through Best Buy’s website, while a similarly sized set with the same features costs less than $900 through the same outlet. However, other retailers such as HH Gregg offer their LG sets at a lower cost than similar brands, including Samsung. 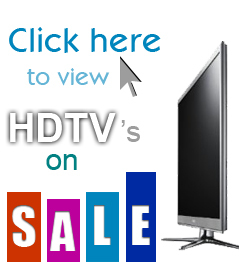 Obviously, pricing depends on the specific model of television you’re looking at purchasing. It’s hard to beat LG in terms of value once you start looking at higher end models. Because they’re innovating with their OLED displays and other technologies, they often might be one of only one or two manufacturers offering the latest technologies. A lot of the value found in LG sets stems from the company’s use of 4-Color Pixels and Color Refiner technologies that will be found in their current and upcoming sets. By using their own technologies, LG is able to advance their displays beyond what’s commonly available in the industry. Customer service is hard to rate, since individual experiences can vary. That’s mainly due to variance in expectations; a great experience in one person’s mind might be a terrible one in another’s. Customer service is simply too broad to rate and expect everyone to have the same judgment on quality. That said, LG does a lot of things right in their customer service. Finding customer support on the LG website is easy, and they offer a variety of options including live chat, email and phone support. They offer solutions for in-warranty and out-of-warranty products, along with the ability to extend your television’s warranty and track warranty claims. Several stories have even been posted online of LG providing in-warranty repairs for televisions on which the warranty had expired. Although your mileage may vary, there’s enough personal experience and evidence available to confidently give LG the best rating we can on customer service. Their agents are friendly and their website is easy to use. They clearly care about their customers. The fact that LG gets a 5 here doesn’t make them the best brand, and it doesn’t mean you’re guaranteed to love an LG set if you purchase one. Individual experiences can vary. However, everything they’ve done – from branding themselves well to offering quality products with advanced functions to offering great customer service – gives them the makings of a terrific company. While it’s easy to argue that competing sets might have a better picture or some other advantage, LG televisions offer consistency across the board. You should definitely consider all of your options and different models, but chances are you’ll love an LG television if you purchase one. I have purchased an LG 50PJ350 and have so far “knock on wood” enjoyed it tremendously and with it an LG lhg336 home theater system which mates with the tv with smart tv. So my experience with LG is 5 star so far. Also their live internet customer service is also a 5 star. i have a 50″ plasma lg. it will turn itself off over and over. it is only 1 year, 3 months old. now they want us to pay 300.00 to get it fixed…what a rip-off…. apparently, this is a common problem. Don’t buy LG products – read my story! My LG HDTV started having problems. It seems that the problem is common to LG. The TV constantly reboots. So LG authorizes the repair under warranty. Weeks go by then they dispatch a service person. Who looks at it (does nothing) and confirms that this is a common problem and will have to order a video board. Like most people I would expect that knowing the problem they would have ordered the board when the call came in the first time. Nope. Weeks go by still no fix. My wife takes the call from the LG authorized service center that the technicias will be there on Friday. Also that we must take down the TV because the technicians don’t lift them. So we had the TV down and on the floor for them. It has been two months since the problem started and I am getting a little mad about the whole thing! So the techs shows up last Friday to replace the board. They (takes two grown men to replace a ten ounce board) replaced the board. In the process they fractured the LCD screen, totally destroying the TV. Now I have a bigger problem than before. I am *not* a happy LG consumer products customer. I bought a lot of LG equipment; I won’t buy another LG product. For the most part, most of the reviews I’ve seen on these LG sets have been promising. One of my coworkers at Dish loves his, and he’s a gamer so he’s fairly demanding of technology. Since I’m finally getting a Hopper whole-home DVR installed in my house (and it’ll send my HD channels to every room), I’m looking to upgrade the last 2 SD sets we have. So naturally, I’m looking into Vizio. Thank you for the information and reviews.